The national Black Lives Matter At School coalition’s brilliant Curriculum Committee worked this year to bring you lessons for every grade level that relate to the 13 principles of Black Lives Matter. Here now is the 2019 Curriculum Resource Guide–free, downloadable lessons to challenge racism, oppression and build happy, healthy classrooms. 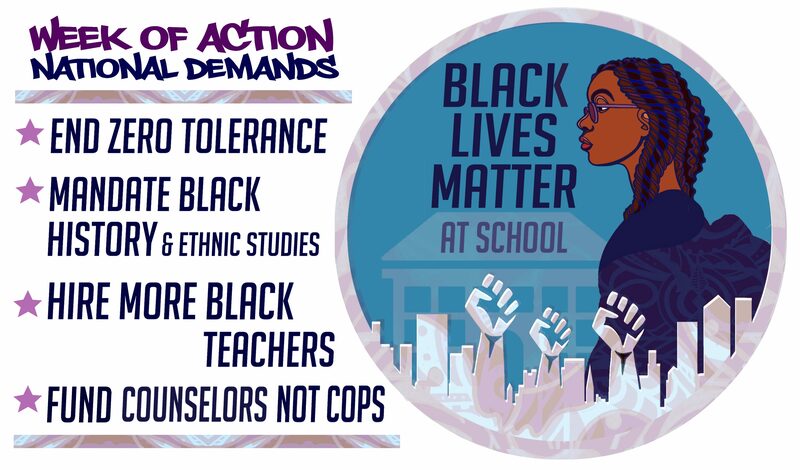 Visit http://www.BlackLivesMatterAtSchool.com to find other resources for the BLM@School Week of Action…And to let us know which lessons you loved and used in your class this year. The Black Lives Matter At School Coloring Book–Make this year’s week of action beautiful!